So? You really need to have this explained? Very effective tweet by our President. We must not let this happen again. Thanks for bringing it to our attention. And thanks to our President. Sorry. No collusion. No crime or misdemeanor. Is Mueller still the hero he was a month ago? “Fat donald is actively and willfully endangering the life of a member of Congress. If another D president tweeted the same thing…”…then many who are outraged about it now wouldn’t even notice it, or would agree. Or what if he referenced Charlottesville as “some people did something”? And would criticizing him for that be “inciting violence”? These people have lost it. They lost it after Nov 2016 and they lost it again with “No Collusion”: They are beyond help. So trump “incited” the guy last month with his tweet from today. Is that all the outrage we can muster on this travesty? 48 posts? Wrong. Epic fail. If he was a dictator, the wall would be built you would be in prison for saying this. Try again. you would be in prison for saying this. He is acquainting the fact she is a muslim with 911… thats like saying all black are criminals or all white people are white trash racists. Is that the world you and conan want to live in? It seems the case here and now. She opened her cake hole about 9-11, not him. Those are her words, not his. She is responsible for running her mouth, not him. He didn’t make that ad. He’s not the one inciting anything. You betcha, it’s another example of somebody on the left talking ■■■■■ called on it and curling up in the fetal. He successfully incited you, didn’t he? Is she not a Muslim? Was she elected by her community which is one largest groups (Somalis) of Muslims in USA…about 80 thousand of them. Now does she represent her community yes or no? Will her reelection validate her beliefs among Somalians? 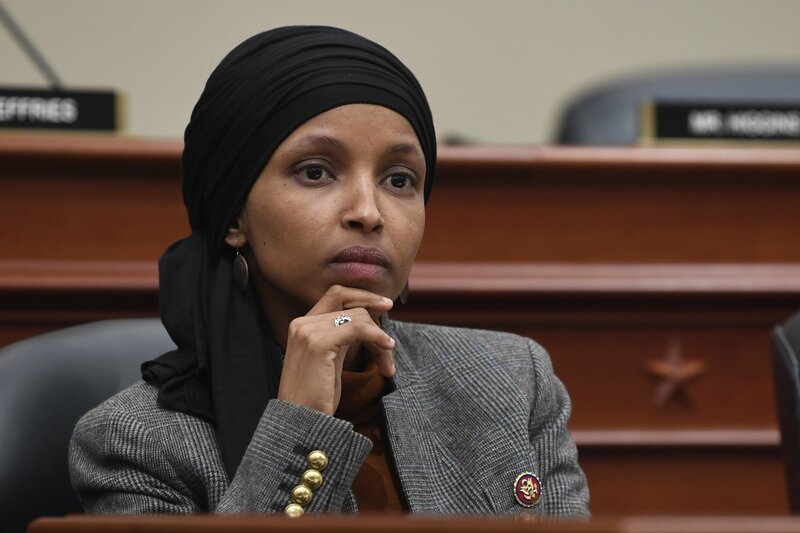 Omar seems to misspeak a lot, from the all about the benjamins to 9/11.